Statoil, Vattenfall and Gasunie have signed a Memorandum of Understanding (MoU) to evaluate the possibilities of converting Vattenfall’s gas power plant Magnum in the Netherlands into a hydrogen-powered plant. The potential CO2 emission reduction is 4 million tons of CO2 per year. This is equivalent to emissions from more than 2 million cars. The next steps will involve feasibility studies to evaluate the conversion of one of the three Magnum units of Vattenfall Nuon in Eemshaven to run on hydrogen. The units are operated by the company’s Dutch subsidiary. In addition, Gasunie examines which infrastructure for transport and storage is needed. “We are very excited about getting the opportunity to evaluate the possibilities of converting a gas power plant in to run on hydrogen. We are still in an early phase and like all pioneer projects there are uncertainties that need to be addressed. But the potential CO2 emission reduction is significant,” says Irene Rummelhoff, executive vice president for New Energy Solutions in Statoil. The results of the feasibility studies will form the basis for a decision on further progress. 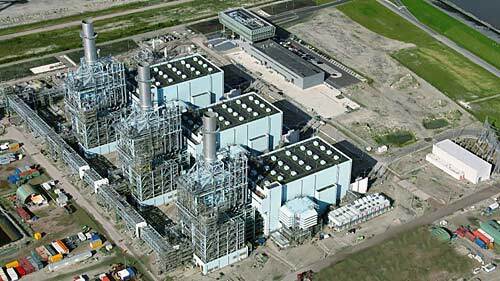 The Magnum gas power plant has three combined cycle gas turbines (CCGT) with a capacity of 440 MW each. One CCGT emits approximately 1.3 million tonnes of CO2 per year. The technology for producing hydrogen by converting natural gas into hydrogen and CO2 is proven and known. The new element is to design a large-scale value chain. “Designing a large-scale value chain where production of hydrogen from natural gas is combined with CO2 capture, transport and storage can open up new business opportunities,” says Rummelhoff. So far, high costs combined with lack of CO2 storage facilities have limited the development of a low-carbon value chain for hydrogen based on natural gas. In 2016, the Norwegian government initiated a new national CO2 capture, transport and storage project. Studies confirmed the feasibility of storing CO2 on the Norwegian continental shelf, with high storage capacity and the potential to expand the facilities to manage additional CO2 volumes beyond the initial demonstration project. If the Norwegian CCS demonstration project is realised, this may open up for future CO2 storage from other projects, including the joint Vattenfall, Gasunie and Statoil project. Statoil has more than 20 years of experience with CO2 storage on the Norwegian continental shelf. The company has launched a climate roadmap, which details our targets for CO2 emission reductions and improved carbon intensity and energy efficiency. “Statoil has introduced several measures to reduce emissions from our oil and gas activities. With the joint Statoil, Gasunie and Vattenfall project we see the possibility of also helping potential customers reduce their CO2 emissions at a large scale. As the upstream facilities required to reform natural gas into hydrogen need to be large scale, there is a significant scope for economy-of-scale by introducing additional markets to the energy system,” says Rummelhoff.